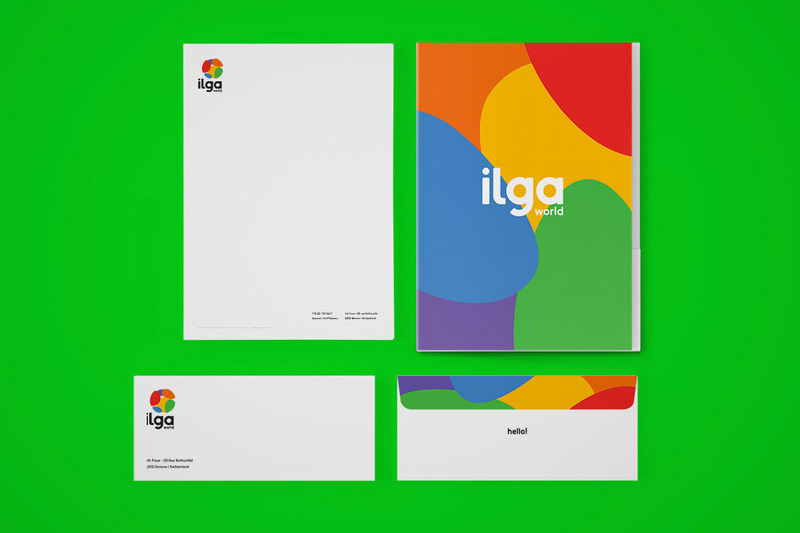 Established in 1978, ILGA — the International Lesbian, Gay, Bisexual, Trans and Intersex Association — is an organization that brings together more than 1,200 member organizations from 132 different countries that are “dedicated to achieving equal rights for lesbian, gay, bisexual, trans, and intersex people”. 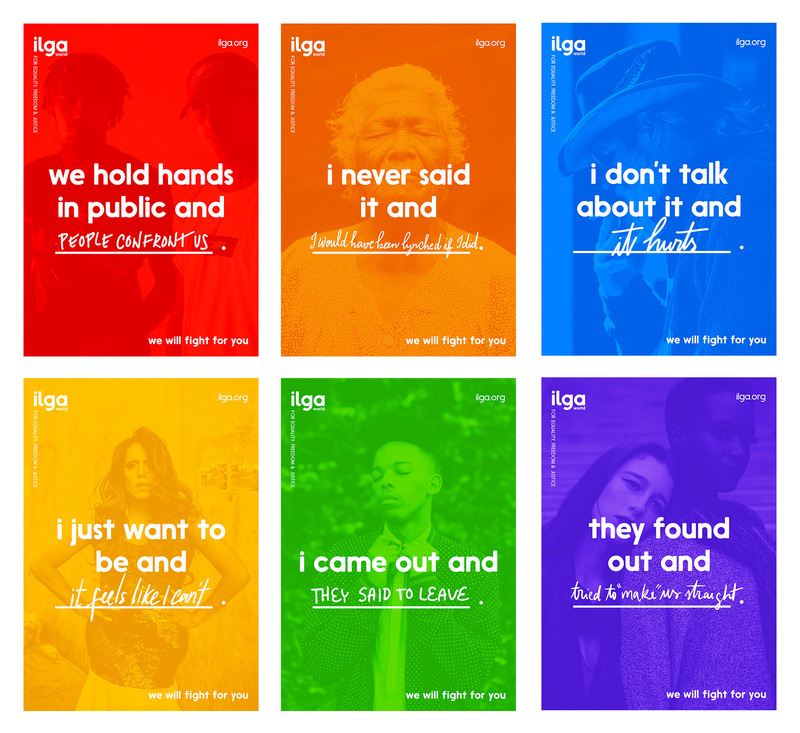 Funded by governments, private foundations, and contributions of private donors, ILGA raises awareness and informs institutions, government, media, and civil society through advocacy and research. 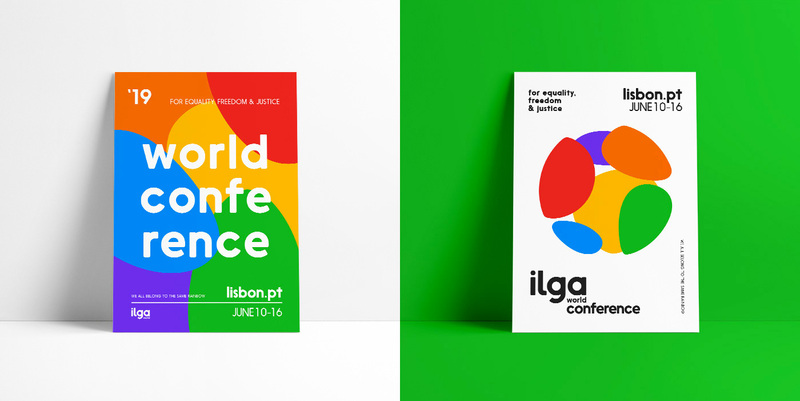 As part of its 40th anniversary and coinciding with its 2019 World Conference in Aotearoa, New Zealand, ILGA introduced a new logo and identity designed by Lisbon, Portugal-based Joana Vieira. 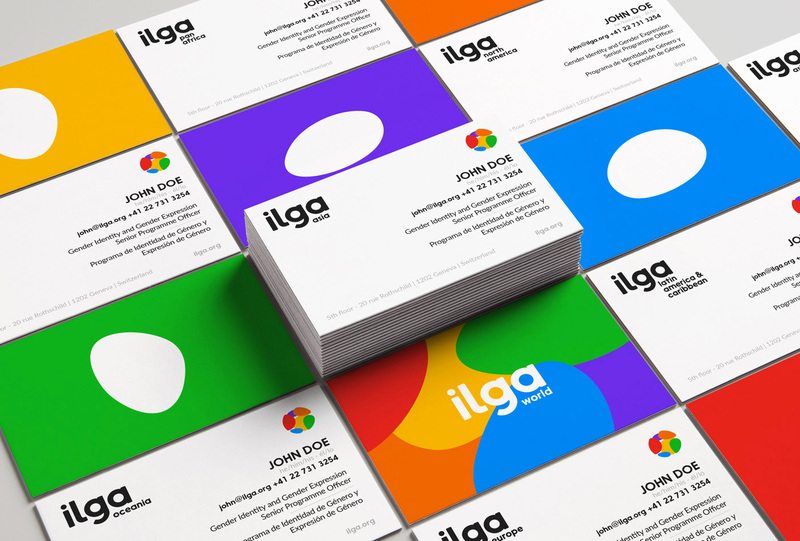 One interesting thing about how this project came to be is that Joana had first done a redesign of ILGA as a personal exercise in 2017. 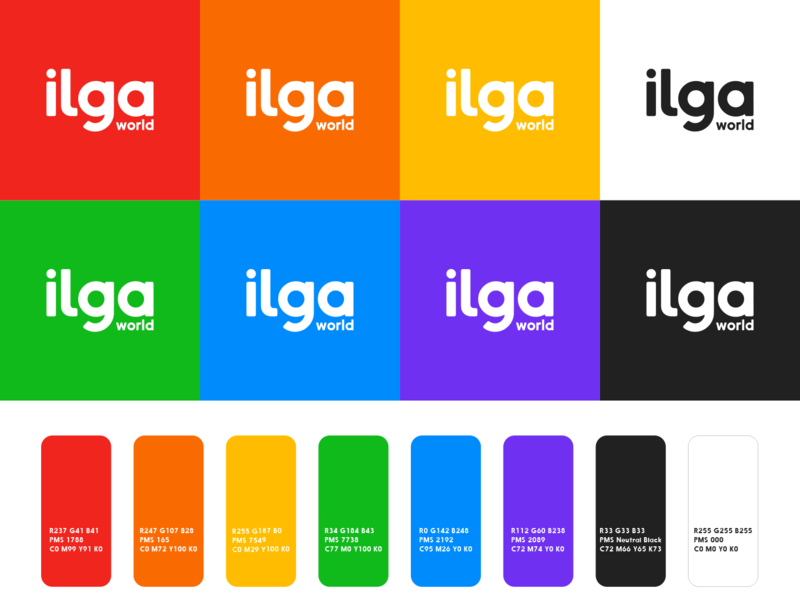 She shared it with ILGA, which led them to consider an actual redesign. They then opened up the process to accept bids from other designers — Joana entered her project, officially, and was then selected to expand on it. The final result, informed by the feedback and concerns of the organization helped shape the original proposal into a more robust solution. The old logo was quite sad, with the most default globe icon possible and an untreated wordmark typeset in FF Meta that might as well have said “Widgets Incorporated” — a good organization deserved much better. 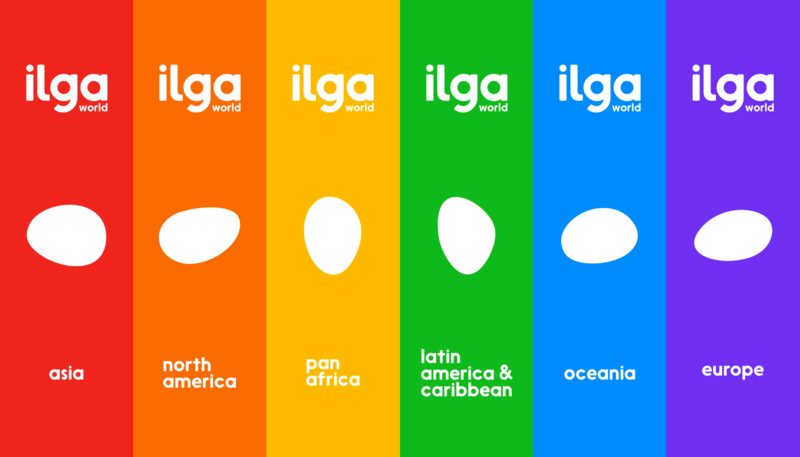 The new logo maintains the concept of the globe but it cleverly mixes the shapes of the six continents — Antarctica is not represented as there are no permanent residents and no ILGA member organizations — with the six colors of the rainbow flag. I really like the abstract continent shapes and how they wrap around in a kind of global hug. The wordmark is alright and nicely done. One detail I appreciated in the explanation is that the “l” has a slightly exaggerated curl to make it more equal in visual weight with the “g” so as to provide more equal representation to both “lesbian” and “gay” in the name. Despite the logo having the globe and the word “world” on the right, it’s pleasantly balanced. The continent shapes on their own… it’s debatable whether that’s a good idea or not. Conceptually, yes, as each stands for a world region but visually, they become too egg-shaped on their own and too decorative as a pattern. Neither circumstance is terrible and both are mostly pleasant but I feel like the shapes are stronger together in the globe. The applications and communication materials need a lot of work. All the posters above are a good starting point but they need to be finessed a whole lot more and they need a much tighter framework… right now it feels like all the elements are going to fall apart if you were to blow on them. A lot of it has to do with the overuse of lowercase that makes everything have the same non-importance. Swag is great though. 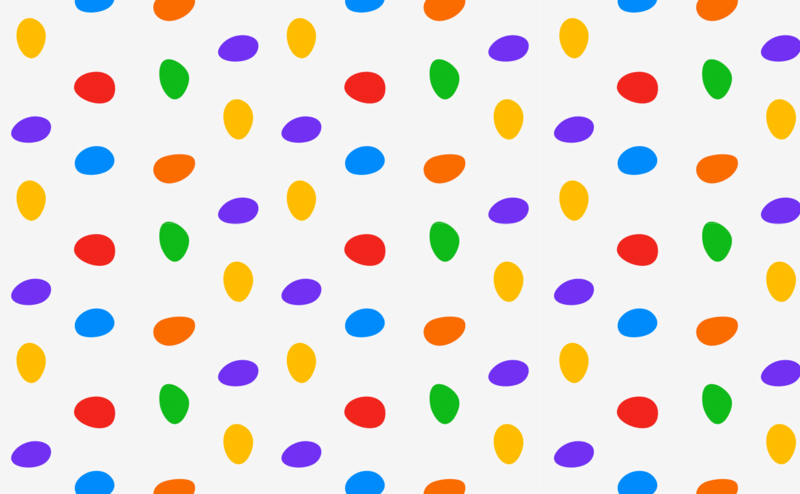 Cheerful and colorful. 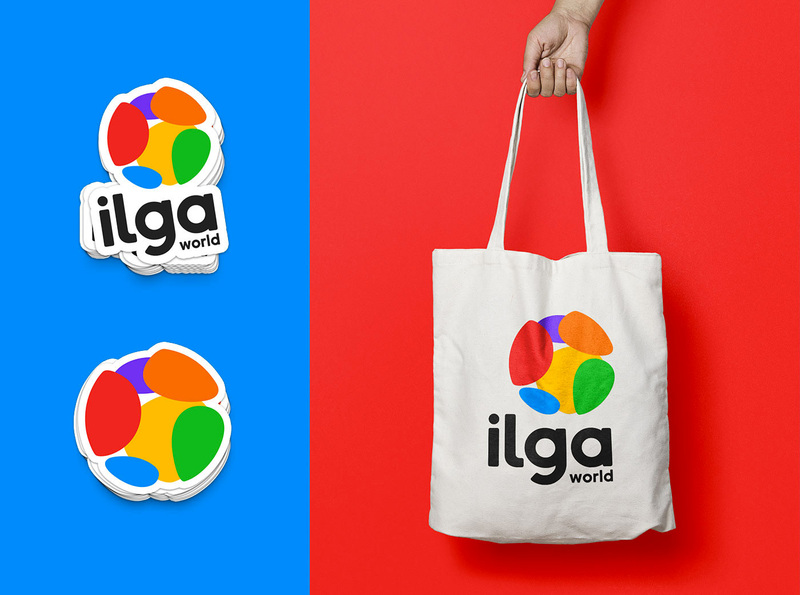 Overall, this is a great and thoughtful logo redesign that manages to turn a couple of logo clichés — the globe and the rainbow flag — into something meaningful and engaging. Next step is to tighten the applications and this could be great. Thanks to Filipe Aparicio for the tip.